The R8's design is an evolution of the current model. Its LED headlights are standard equipment. 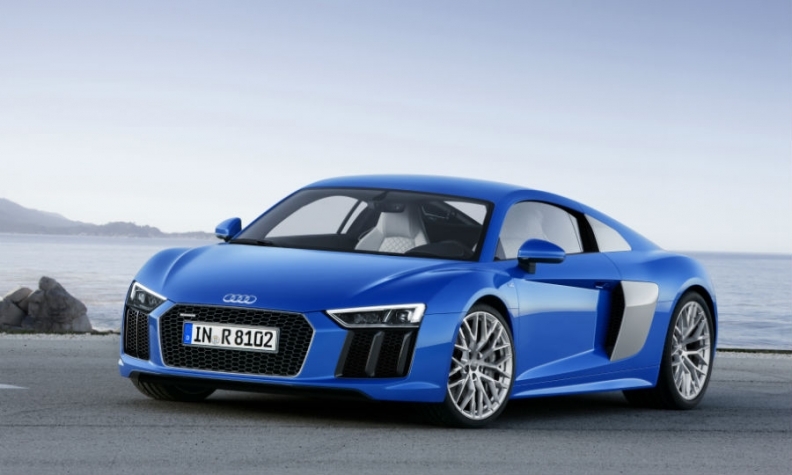 Audi today released pictures and details of its second-generation R8 supercar. The German automaker said the top-range version will be the most powerful and fastest series-production Audi to date. The R8 is a halo model for Audi, with a current U.S. starting price of $116,000. The Volkswagen luxury brand is spending 24 billion euros in the next five years to develop technology and expand production in its bid to pass BMW as the world's top-selling premium marque, up from No. 2 now. Audi said sales of the mid-engine coupe will start in Europe this summer with the 540-hp R8 V-10 priced at 165,000 euros ($187,000) and the range-topping 610-hp R8 V-10 plus costing 187,400 euros ($213,000). According to the Automotive News Future Product Pipeline, the redesigned R8 will go on sale in the United States after midyear 2016 as a 2017 model. 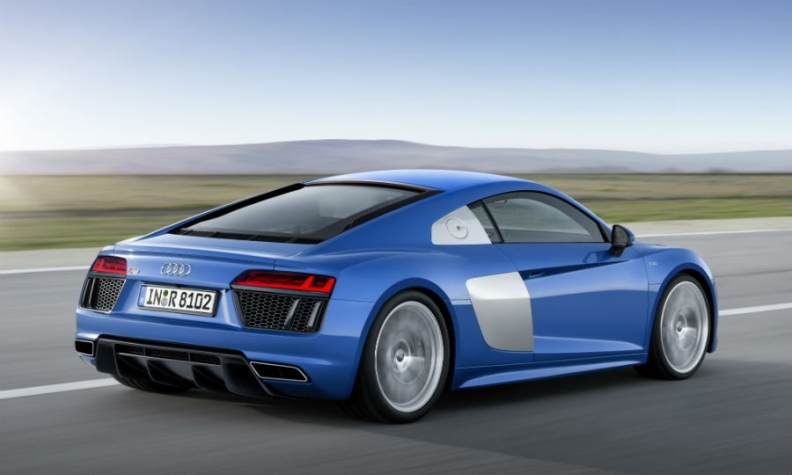 The R8 V-10 plus accelerates from 0 to 100kph (62 mph) in 3.2 seconds, Audi said. Its top speed is 330kph (205 mph). "With the new Audi R8, our engineers are bringing accumulated racing expertise from the racetrack onto the road," Audi development chief Ulrich Hackenberg said in a statement. The R8 will have its public debut at the Geneva auto show on March 3. Audi sold 735 R8s in the U.S. last year. The car weighs up to 50kg (110 pounds) less than the current model despite a lot of extra equipment and greater rigidity, Audi said. The Audi R8's curved contours on the side help it appear longer longer and more dynamic than the current model. The two tailpipes have a trapezoidal design and the rear window offers a clear view of the illuminated engine compartment. Audi also said it has doubled the driving range of the battery powered R8 e-tron to more than 450km (280 miles) thanks to new battery cells. The new R8 LMS racecar, which shares 50 percent of its components with the production, has a big performance increase, Audi said without giving details.